Japanese consortium that owns Tomatin distillery in Inverness-shire. The Marubeni Corporation, Kokubo & Co, and Takara Shuzo Co, are three significant Japanese companies with diverse commercial interests, and under the umbrella of the Marubeni Corporation, the three businesses own The Tomatin Distillery Co in Inverness-shire and distribute its whisky. Marubeni is the fifth-largest sogo shosha (general trading company) in Japan, and has leading market shares in cereal and paper pulp trading as well as a strong electrical and industrial plant business. Takara Shuzo Co is a major manufacturer of saki and shochu, while Kokubu & Co is a wholesaling business with particular interests in food and alcohol products, also focusing on import/export and real estate. 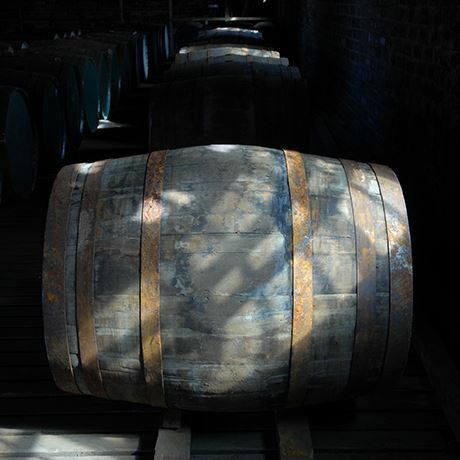 In recent years Tomatin has focused to a much greater extent on its branded single malt business rather than its previous trade in bulk sales for third-party bottling, and in addition to its single malt portfolio, the company produces the blended Scotch whisky The Antiquary. Tomatin distillery dates back to 1897, but in 1986 it became the first distillery in Scotland to be wholly-owned by Japanese commercial interests. This followed its liquidation the previous year. One previous customer of Tomatin was the Kyoto-based distiller Takara Shuzo, which had been founded in 1842 and had been importing the whisky in bulk since the 1960s. Having closed its own Japanese distillery, it joined forces with fellow Tomatin importer, the Tokyo-based trading company Okura & Co to form Tomatin Distillery Company Limited. Okura sold part of its stake in Tomatin to Takara Shuzo in 1998 after being declared bankrupt, and the remainder to the Marubeni Corporation, which has operated the Tomatin Distillery Co from 2000. Since 2006, distribution of Tomatin whisky has been the responsibility of Kokubu & Co, which can trace its roots back to 1712. The J and W Hardie company and its Antiquary brand were acquired by Tomatin in 1996, with the blend having been created around 1880. Tokyo-based food and drink company.